For #1-7, calculate the area for each of the polygons described below. Round answers to the nearest hundredth and remember to include the unit of measure. - For #3, 4, and 5, divide the polygon into triangles as shown in the lesson. - You must show the work for any values not provided in the problem, including the height for the triangles in #1, 3, 4, and 5. First, I drew a diagram of an equilateral triangle and drew a line down the middle to make two equal 30-60-90 triangles. Then, I found the height of 0.5 inches. The area of a triangle is a=1/2 b*h. My answer for area was 0.25, is this correct? As I did in number one I drew a diagram. Then, I split it in two so I could have two equilateral triangles. The area of a square is a=s^2. My answer for area is four. Is this correct? 5. A regular heptagon with a side of 7 inches. 6. A trapezoid where the height is 18 cm, base 1 = 16 cm and b2 = 8 cm. 7. A trapezoid where the height = 7 mm, base 1 = 26 mm and base 2 = 9 mm. For #8 and #9, fill in the missing information for the following trapezoids. SHOW YOUR WORK to solve for the missing value. 10. If the area of a parallelogram is 690.84 m2 and the height is 20.2 m, what is the length of the base? 11. If the base of a rectangle is 28 cm and the area is 588 cm^2, what is the height of the rectangle? 12. What is the area of a parallelogram with height 26 cm, base 16 cm, and side length 28 cm? 13. What is the area of this polygon? Show all of your calculations. Do remember that this forum will help you but not do all your homework for you. Let's start with Q1 and, as I see you are getting the correct answers, we can advance to do more questions. Q1 It's an equilateral triangle, meaning all three sides are 1 inch. The area of a triangle is half base x perpendicular height. Half the base is 0.5, but you haven't got the correct height yet. You can either split the triangle down the middle to make a right angled triangle 1 by 0.5 by h and then use Pythagoras' theorem to calculate h, or, alternatively use trigonometry such as h = hypotenuse x sine(60). Please give that a try and post back your result. Q2. This is correct. You don't need to split it to get this, but it might be worth trying to divide it into 4 isosceles triangles by drawing the diagonals. Find the area of one and then times by 4. It's a long way round to get 4, but it will help because the method for the later ones uses this technique. I'm aware this site does not do your homework, I was posting all of the questions so I could go one by one to make sure I am getting the correct. My teacher told me the height is 0.5 inches, so I am extremely confused. And I still got the area of 0.25 inches. I found the adjacent was 0.87 inches here using pythagorean theorem. Then, I used tangent to find the height. Tangent= opp. over adj. which in this case was 0.5 over 0.87. After dividing that, I got 0.5 inches. BD is 0.5. AD is bigger. To calculate AD I'm going to use tangents because we can then use the same for later questions. My teacher realized what she said and helped me out a little. So, I used pythagorean theorem and got 0.87 inches as the height. So, the area here would be 0.435 correct? So, for number three, I do not even know how to start. I am having problems finding the area of the triangle. (After dividing the polygon into 5ths). I found the measure of the base angles was 54 degrees and the measures of the central angles were 72 degrees. But, how do I find the hypotenuse, opposite, and adjacent? I know the base is 3 cm, but I know nothing else. How do I even use the trig function to find height? That's ok so far. If you split one triangle down the middle, you make a 90, 54, 36 triangle so you can use trig . In this triangle the opposite to angle 54 is the height you need and the adjacent is half of a side. Once you have the height you can calculate the area and times by 5 for the pentagon. Doing that, I got a height of 1.41. Is this correct? If so, after that, do I just find area like normal? If that's the case, I got an area of 2.115 for the triangle. 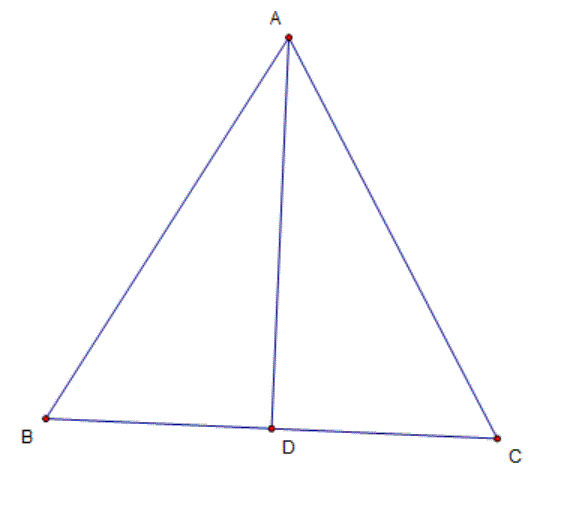 When you get an answer, think about the triangle and whether this seems right. You've ended up with a height and adjacent nearly equal (1.5 and 1.4). But the angles are 54 and 36 so these two sides should be quite different. How has this happened? And yes, find the area by half base x height.